It’s a calm Thursday night near the Port of Garibaldi. Still seas. Red sky. Boats bobbing softly in the water. But the kitchen is buzzing at the Garibaldi Portside Bistro. Customers pack the dining room, salivating at the smells wafting from the kitchen. 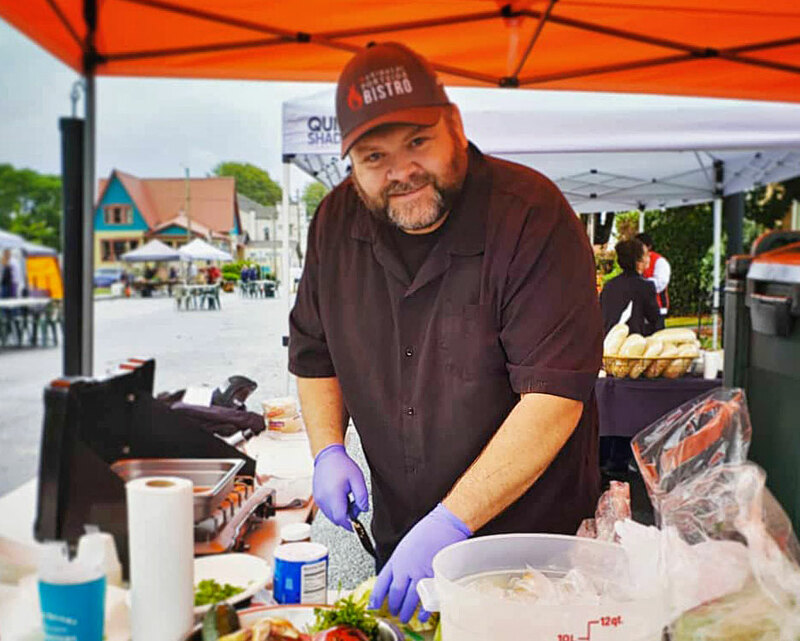 “I’m passionate about what we do,” says chef Dennis Cavitt. It’s no surprise that people have driven miles to eat here. Behind the scenes, Cordon Bleu-trained chef Dennis Cavitt is at work. 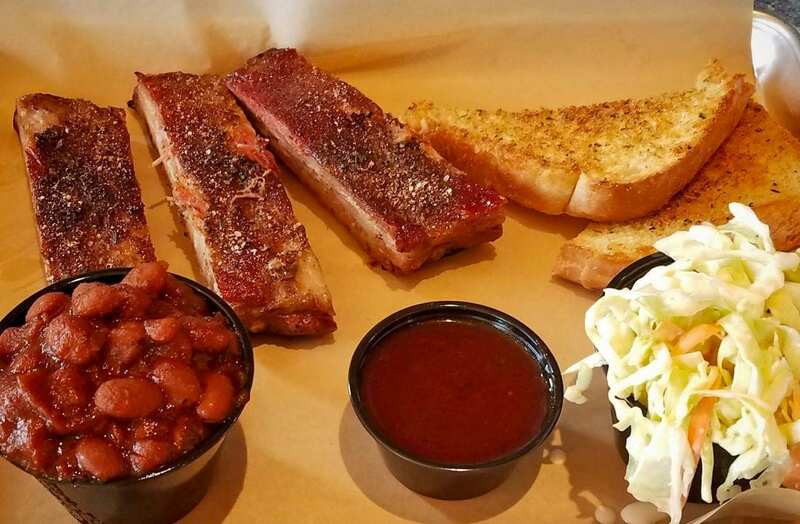 Smoked meats, his specialty, fly out the kitchen door—while only empty dishes return. He explains that he grew up vacationing in the area. “There’s pictures of me in my mom’s stomach in Garibaldi,” he says. The first summer they came, they were dating. Then married. And then, with a baby. It felt like home. In 2016, the couple opened the Garibaldi Portside Bistro with a menu full of refined comfort foods. The most popular? By far the Blueberry Goat Cheese Burger: a half-pound patty, topped with goat cheese, bacon, blueberry sauce, tomato, onion, avocado, mixed greens and aioli. “It’s something I came up with two years ago for Mother’s Day,” Dennis says. And it’s remained a fixture on the menu. His ingenuity is always leading to new creations that customers love. Like the time he spent the morning cooking crab for crab melts: they sold out in 30 minutes. Amanda grins as she says the “permanent cologne” of her family is now smoked wood, but they’re doing what they love. The restaurant has a menu full of refined comfort foods. Their success has spurred them forward as Dennis and Amanda look to expand the restaurant. In recent months, the family acquired the former Troller Restaurant. They have spent significant time remodeling it, with hopes of opening a larger Portside Bistro location in May. Looking around their new space, with a 180-degree view of Tillamook Bay, Dennis and Amanda are filled with gratitude. 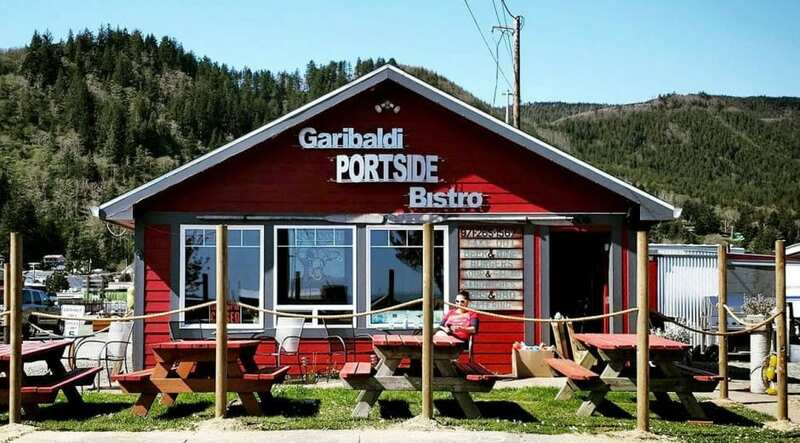 Learn more about Garibaldi Portside Bistro here.